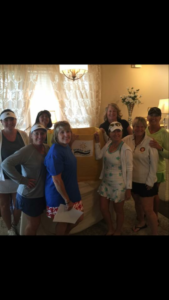 The Baton Rouge Women’s Tennis Association (BRWTA) supports a number of local charitable organizations and events that benefit the greater Baton Rouge community at large. 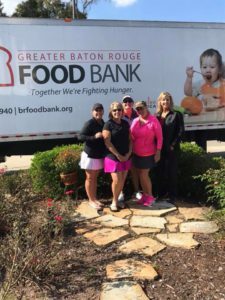 Each year, BRWTA supports the Greater Baton Rouge Food Bank with both food and monetary donations collected at our November tournament as we reflect upon the blessings bestowed on our club and its members throughout the year. We also collect toys for the Marines Toys For Tots campaign at our December tournament. 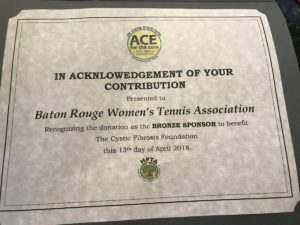 Each year, BRWTA also supports the Cajun Classic Wheelchair Tennis Tournament which attracts internationally ranked wheelchair tennis players to this world class event held in Baton Rouge each spring. In addition, BRWTA is also an annual sponsor for the Highland Open which is a charity tournament for Cystic Fibrosis. We are also very proud to partner with Family Road of Greater Baton Rouge, a local non-profit dedicated to assisting community mothers and women in living more productive and healthy lives. 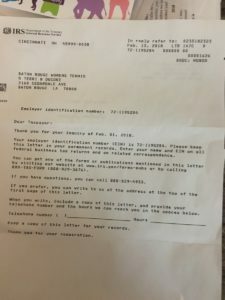 As you can see, our members enjoy giving back to our great community.